The global conventional sugar market is large and complex. According to the United States Department of Agriculture (USDA), estimated production in 2014 will exceed 175 million metric tonnes. That will be significantly more than global consumption which they estimate at 168 million metric tonnes. This large sugar surplus has depressed world prices and subsequently returns for farmers and producers. Oversupply has typically been the case for the sugar market over the last thirty years, except for only a few years where crop shortages bolstered prices for brief periods. That is, however, just part of the story. Only 25-30% of global production is actually traded on the world market, given the vast majority of sugar is consumed domestically within the country in which it is actually produced. Most exported sugar is also not freely traded around the world, as virtually every country that produces sugar imposes trade barriers and tariffs to protect their own domestic market and producers. that size if half of the available demand were not met by high-fructose and other corn-derived sweeteners like glucose and dextrose. Additionally, all of the corn sweeteners and beet sugar produced in the U.S. come from crops that have now been genetically modified. The U.S. does allow preferential imports of over one million tons of raw cane sugar for refining from a number of specified countries under a quota system. The only foreign country that has free access to the U.S. market is Mexico under the North American Free Trade Agreement (NAFTA). Some specialty sugars not domestically produced in commercial quantities in the U.S. are also given access under a restricted “first-come, first-served” specialty quota. That is how the vast majority of certified organic and fair trade sugar enters the U.S. market. Producing organic and fair trade sugar is the only way that small-scale farmers can compete in a global system dominated by large plantation growers in low-cost producing countries like Brazil and Thailand. In contrast to this vast conventional market, the global availability of certified organic sugar is estimated by Wholesome Sweeteners to be in the range of 300,000 metric tonnes. 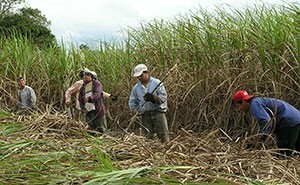 Organic sugar is mainly grown and produced in South America. About 15-20% of that supply is also certified fair trade by Fairtrade Labelling Organizations International (FLO), the majority of which comes from small-scale farmer cooperatives in Paraguay who receive a social premium of $8.00 per metric tonne of sugar cane. That generally has meant a 20-30% premium over the local farm gate, non-organic, non-fair trade market prices. These fair trade premiums have funded social programs and the purchase of agricultural equipment for farmer cooperatives in Tebicuarymi, Paraguay, as well as water, school and health projects in sugar-producing communities in Kasinthula, Malawi. However, the global availability of non-organic fair trade sugar with FLO certification has rapidly escalated to over 500,000 metric tonnes in the last three to five years. Unfortunately, the vast majority of this growth has been due to certifying conventional raw and white sugar production in countries like South Africa, Belize and Mauritius. This has been especially surprising, given the latter two origins are both government-controlled sugar industries. All these origins produce raw sugar that is shipped in bulk for refining in Europe or the U.S. These non-organic farmers have a potential fair trade social premium payment of about $5.00 per metric tonne of sugar cane. That premium is only realized if the sugar is sold as fair trade, however, and very little currently is. Unfortunately, larger food manufacturers — accustomed to a conventional commodity sugar market operating at “rock-bottom” costs — were not prepared to pay for sugar certified as both organic and fair trade, and so they demanded non-organic fair trade sources. FLO capitulated and wrongly rationalized that new non-organic fair trade sugar sources were needed, as the available organic supply was not adequate. That clearly was not the case at the time, nor is it the case now. Additionally, allowing large-scale sugar refiners into the fair trade system also necessitated the introduction of what is called “mass balance.” In simple terms, this is where the small proportion of certified fair trade raw sugar delivered to large refineries in the U.S. and Europe can be co-mingled with conventional raw sugar from a multiple of other origins. It is difficult to think of another certified fair trade product where it would be acceptable to go through intense chemical refining, involving all kinds of unnecessary processing, as part of the system. The basic premise of mass balance is that if a refinery received 500,000 metric tonnes of raw sugar during a production run, and just 20,000 metric tonnes of that was from certified fair trade origin, then that proportion of the volume (4% of the total refined sugar output in this case) could potentially be sold as “fair trade,” even though it was actually composed of 96% conventional raw sugar. In effect, most of the value-added processing is taken from the third-world source and transferred to the final consumer market. Retro-certification then allows these large manufacturers to sell any of the sugar they produce in that period as certified fair trade, up to that maximum volume limit, over an extended future period. This system divorces the connection between the actual final consumer product that is manufactured and the farmers who grew the crop, which clearly undermines the ethos and spirit of fair trade. Instead of making these refiners and food manufacturers use sustainably produced fair trade sugar in their existing products, FLO and other fair trade operators have certified unsustainable production methods just to bring sugar into the system at a cheaper cost. Apparently, though, this still is not enough, and things are degenerating further. Despite having created this huge oversupply of cheap fair trade sugar in the market, both FLO and Fair Trade USA are considering, or have already put forward, proposals that would allow products containing sugar (such as chocolate, confectionaries and beverages, for example) to be certified under the fair trade system without being required to actually use fair trade sugar as an ingredient. This completely undermines the “All That Can Be, Should Be Fair Trade” model. Indeed sugar is not a health product. It is a delicious indulgence that can be produced in a socially responsible, environmentally sustainable way and enjoyed in moderation. Producing it in vast quantities at the lowest cost possible for mass over-consumption destroys the small farming communities that fair trade is supposed to benefit. Obviously, allowing large-scale chemical refineries producing huge volumes to minimize costs of “fair trade” sugar would drastically impact thousands of small-scale cane sugar farmers across the world. 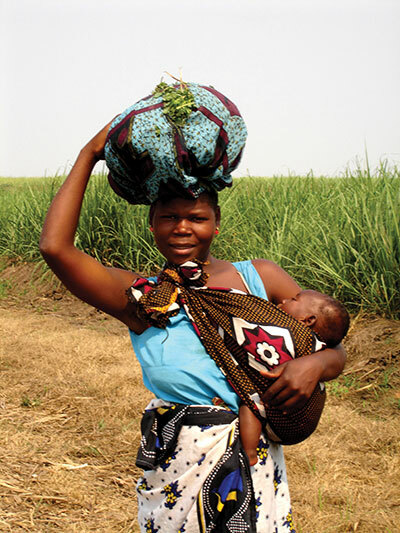 Cheap, overly-refined, non-organic fair trade sugar has displaced sustainable organic and fair trade sugar, which has negatively impacted small-scale producers in Malawi and Paraguay, where sustainable and organic farming methods necessitate and justify higher costs. The fair trade movement now has the opportunity to clearly differentiate itself by sticking to the principles upon which it was founded, and through focusing on small-scale farmer producers and local value-added processing, which makes a genuine impact on helping these producers maintain their traditional lifestyles and communities. If that is achieved, then organic and fair trade sugar produced in a sustainable way will continue to stand for something truly different — something that the consumer can understand and support. Thanks so much for this article. I have been buying FLO organic fair trade sugar cane for some time now, is the issue just with conventional fair trade sugar cane? Is this product actually fair trade? I’m a little confused. Thanks so much! I like the article, sugar farming continues to be a huge challenge to many African Countries irrespective of the barriers and tariffs to protect their own domestic market and producers. Farmers are fast loosing hope in this product and shifting to alternative ways( crops) to get income. I wish to be intouch with you and seek ways through which we can improve sugar cane farming in Kenya. I belong to civil society organisation and your views in terms of legislative lobbying will be of value addition.